I bought my first vinyl record online – to some extent, a terribly ironic sign of the times, but also a sign of Shetland’s remoteness. It was Elle Milano’s ‘Swearing’s for Art Students’ EP, angsty teenage indie obscurity on limited edition red vinyl. I got number 455 of 500. My first experience of buying vinyl in a shop was in OneUp in Aberdeen, which sadly closed at the end of January this year. I bought a handful of 7” singles, including some Maxïmo Park and ¡Forward, Russia!, each 99p. I felt very, very cool. If I hadn’t been a 14 year old girl, I might have tried to strike up conversation with the shop owner, and if I hadn’t lived a sea away I would have been back a little more often. 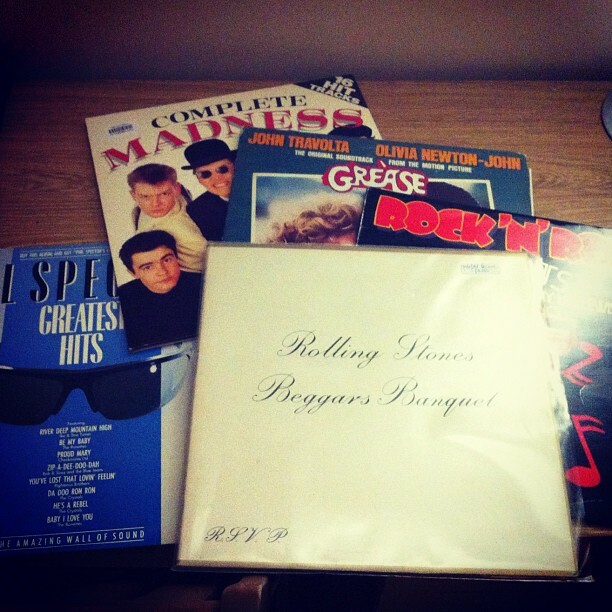 Since moving to Edinburgh, I have had some great finds in record shops across the city, from taking a gamble on saxophonist Illinois Jacques at Record Shak to things I immediately knew I would cherish, such as a lovely gatefold edition of ‘Beggars Banquet’ alongside the Grease soundtrack from VoxBox. My local record shop, however, will always be Clive’s. I remember my mum and nan discussing in hushed tones whether it was appropriate for me to spend a record token on Wheatus’ debut album because it had a parental advisory sticker. I never did get any more than the radio edit of Teenage Dirtbag. I remember going in with my first proper boyfriend to pick up a copy of Pulp’s ‘Different Class’ so we could discover it together. Cheesy, but so began a love affair that has spanned years (I am of course referring to myself and Jarvis Cocker et al, not the boyfriend). I also remember going in during my heavy Glasgow indie, Domino Records phase and tentatively asking a cheery shop assistant if they had a copy of Sons and Daughters’ ‘Love the Cup’. They did. 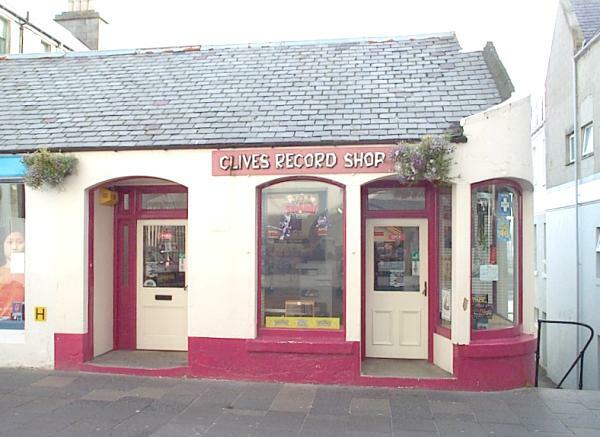 Like OneUp, Clive’s also closed, back in 2011, having served Shetland’s population since the 1970s. Of course I played a part in the closure; we all did, and we all continue to do so. The convenience of online shopping and especially of downloading cannot be understated. As well as this, music services such as Spotify – on which I do have a paid account – mean that you can listen to pretty much anything you’ve ever wanted to, and plenty that you didn’t even know you wanted to, at the touch of a button. I use it as background noise when I’m focusing on other tasks. I download songs from the Top 40 that get stuck in my head so that I can play them to death on my walk to university, and then delete them the next time I reorganise my iPod (limited storage you see! It’s not like a physical shelf where you can just perch case upon case, until one day they all fall down and you think ‘maybe I should get a bigger shelf’). I would hesitate to say that I treat these downloads as disposable. That seems to be unfair to the artists in question, though to some extent that is always how pop music will be consumed. Possibly more appropriate would be to say that I have no connection to the downloading process. I sit on my bed and I click. I could count the number of music downloads I can vaguely remember carrying out on one hand. Even fewer online CD purchases. There’s no interaction. There’s no story. People, righteous vinyl junkies, always point out that in a record shop, you can meet like-minded people. You can take risks based on what they recommend to you, and hopefully you can do the same for them. This is absolutely true, especially if you can get over your fear of looking terribly uncool and uneducated – top tip: throwing yourself in at the deep end and buying the most embarrassing thing you can find will blow that right out of the way. But it’s also a way to bond with people you already know, discovering music together, sharing your tastes and laughing at each other when you almost accidentally purchase some Scandinavian screamo/thrash/metal ‘cause it had a hilarious picture of a cat on the front. Just goes to show you can never judge a record by its sleeve, or something. Music sharing services online have tried to incorporate this sharing facility, and to some extent they probably are effective. However, realistically, how many times have you seen via Facebook that a friend was listening to something on Spotify, or seen their top 3 last.fm artists of the week published on Twitter and thought “hmm, I must tune into some of that”? The experience of heading to a record shop with a friend is a very difficult one to replicate, just as reading in 140 characters that someone you know thinks a film was fairly good is never going to have the same effect as a drawn out discussion with them about it over a couple of pints. Record Store Day is a fantastic thing to support because record stores are fantastic things – livelihoods – worth supporting. Vinyl is pretty trendy right now: by all means, scrum on down to your nearest emporium today and scramble with the other hipsters for that special edition release. You’ll certainly have a story to tell, and I hope the rush you get will keep you going back. 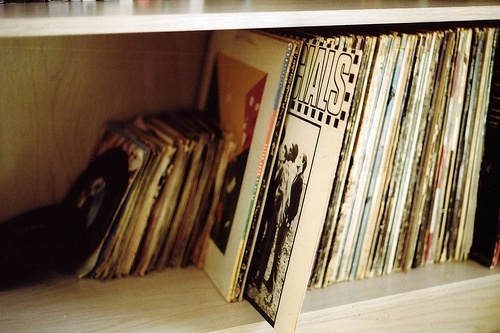 Record shops are worth supporting, but what’s more, they need supporting. Following the demise of Clive’s, Shetland is lacking a dedicated music outlet – and probably always will. On the other hand, Edinburgh’s independent record shop scene appears to be rather densely populated; something for the city to be proud of. 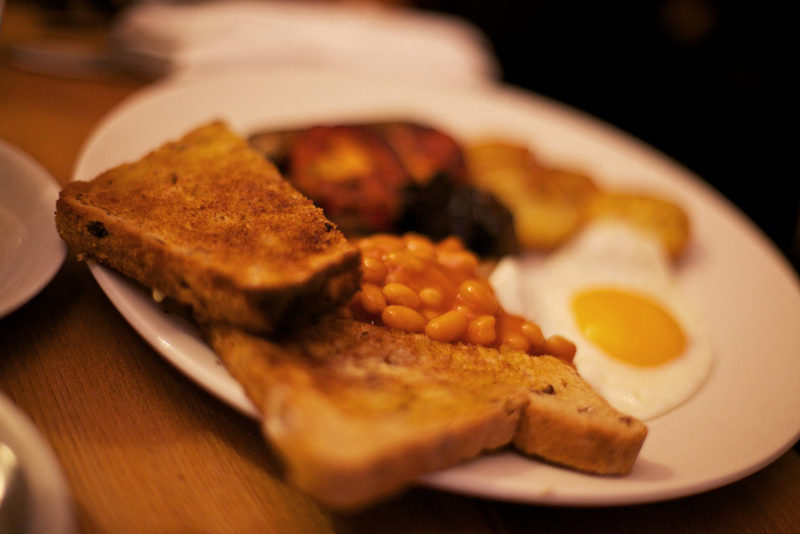 If we continue to frequent and nurture these shops, they will continue to give back – and what’s not to like about that? Interested in exploring Edinburgh’s independent music shop scene? Check out our Nanu Maps: Record Shops to find out more.